Friends of Winship is proud to present this year’s return of the Fashion a Cure fashion show, working to advance research in cancers that affect women. Fashion a Cure is modeled around collective compassion and support, and attendees have all been touched by cancer in some way. 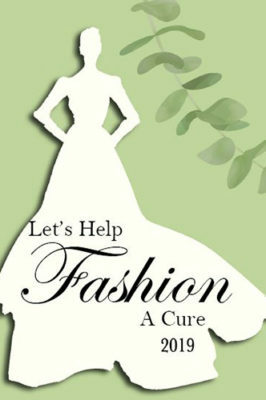 Cancer survivors and those affected by cancer alike will model fashions donated by local boutiques. The luncheon will also feature a silent auction, as well as a raffle of items from participating donors and boutiques. This year’s Co-Chairs are Peggy Lientz and her daughters, Shannon Kollme, Mary Kathryn Green and Margaret Anne Masters. Together, they have gathered a dynamic team of volunteers to produce another successful event! Friends of Winship is a volunteer organization which functions as an operating division under the Development Office of Winship Cancer Institute of Emory University. Their mission is to support Winship Cancer Institute in its role as the premier cancer center in the Southeast. More information on the 2019 Winship Fashion a Cure fashion show.